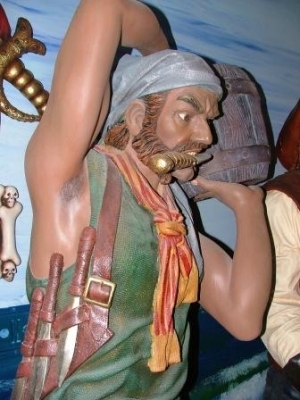 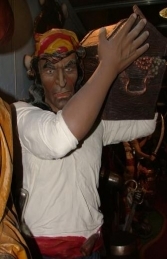 This life-size Smuggling Pirate with barrel looks like a really tough character, he's sure to add instant authenticity to any smuggling or Treasure Island Pirate themed venue! Our Smuggling Pirate with barrel is full of character, his arms ripple with muscles and he clenches a knife between his teeth. His belt is full of more knives and he has a pistol pushed into his belt. 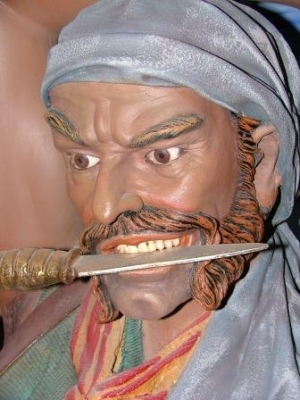 His expression is fearsome! 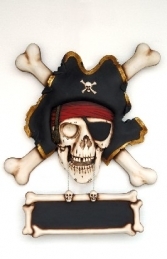 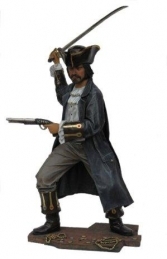 This fantastic life-size pirate figure is ideal for nautical and historical themed areas, advertising or drawing attention to your business. 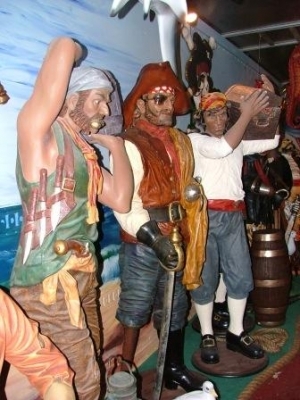 It can be used in any themed area or in shops, businesses, pubs, restaurants, coffee shops, adventure golf courses, zoos, theme parks or even in your own home.